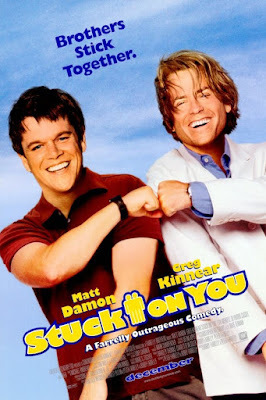 STUCK ON YOU deals with a pair of New England based conjoined twins (Matt Damon, Greg Kinnear) who leave their diner jobs on the east coast for fame and fortune in LA when the Kinnear half of the twins wants to pursue a career in acting. 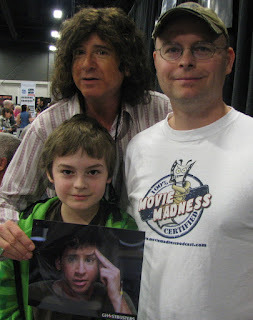 What follows are 118 minutes of rimshot dialogue, unfunny sight gags, endless cameos, and the one and only Cher doing her best impersonation of her own wax figure. This double turd disaster available for streaming on Amazon and YouTube, but as always, you're better off leaving the cinematic separation anxiety to us and watching this other TWINS film instead. Joining us as part of our extended co-flushing team this time out is Doug Aschliman from the Movie Madness podcast.